2004 Chrysler Pacifica Factory Service & Repair Manual download now! 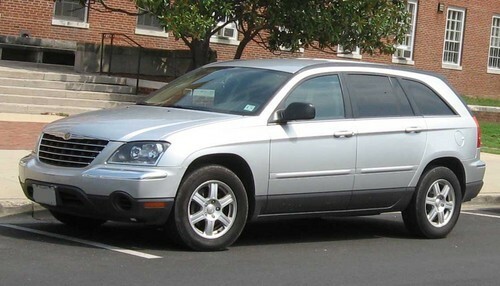 !here is a complete service/repair manual for 2004 Chrysler Pacifica. It contains detailed instructions and step by step diagrams for all workshop procedures. you only use 2004 Chrysler Pacifica Factory Service & Repair Manuals, you can fix your cars do-it-yourself in home.. Interested in trying a little DIY? 1. It gives you an excuse to avoid other household chores. B. It's an opportunity to buy lots of really cool tools. III. You might actually fix your car - and save money in the process. Ready to start scraping some knuckles? Great! Engine Systems, Heated Systems, Horn, Ignition Control, Instrument Cluster, Lamps, Message Systems, Power Systems, Restraints, Speed Control, Vehicle Theft Security, Wipers/Washers, Navigation/Telecommunication, Wiring, Lubrication & Maintenance, Suspension, Differential & Driveline, Brakes, Cooling, Audio/Video, Chime/Buzzer, Clock, Electronic Control Modules, and so on. This file is sold by kindsmanual, an independent seller on Tradebit.